Have you ever wanted for a moment to escape from your usual world, to change of scenery for seeking own fortune in other lands, to turn over your life cardinally? To escape to redolent island for inhaling the fragrance of carelessness, for energizing yourself by nature, for searching a way of creating something of beautiful, without any regards for market condition? In search of a lost paradise, pure selfless world where nothing binds any of your freedom, where the inspiration comes to you with every breath of wind, which, finally, is waiting for you and your only true love, haven’t you ever rushed there at least in your dreams? But is there this wonderful fairy-tale world of good and simplicity anywhere? Hardly. In the search for the parts of our planet where wouldn’t rein the cash flows, where people in their desires rely only generous impulses, and an assistance would be provided as a manifestation of a sensitivity and kindness. So many seekers aspired in all times, but still this paradise no one has found. 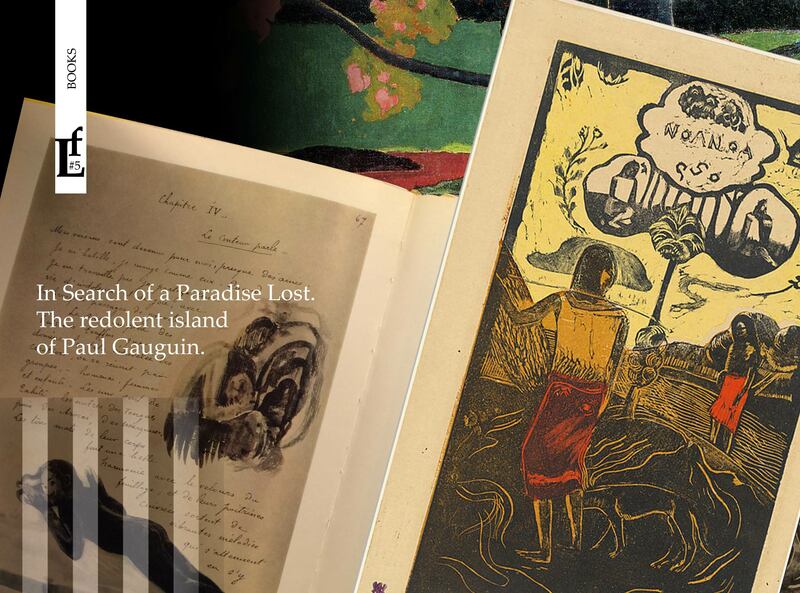 When forty-aged unadmitted as an artist, Gauguin left Paris and headed to find the promised land, he believed that there will be life without money and ideal conditions for creating real art. He sailed with high hopes to the coast of French Polynesia. He had had deep disappointment when the fog cleared and open the port of the main city of Tahiti, Papeete before him, there weren’t picturesque huts and smiling simple people, but only ugly brick houses, wooden buildings, where were shops and taverns. Civilization invaded and hosted here, and it was not the best of its displays. Hoping to find a piece of his dream, he went to the interior of the island. Locals helped him build the bamboo hut, where he was happy for a while, and painted his works with inspiration. But even here, where the tahitians were welcome tо him, Gauguin had to earn their bread. He needed the money. He left his impressions, feelings and experiences of that period in the letters and the book “Noa Noa” – translated from the local dialect as “redolence”. Although it is believed that Gauguin too idealized the life of local residents and, conversely, used dark colors for describing of meanness and stupidity of French officials, especially the governor of the island. This is a kind of diary of impressions, emotions, stories that help us understand what is felt or wanted to feel the creator and he sought to find their paradise, love and freedom.